There are many reasons to finally go ahead and make the switch to newer digital x-ray technology. From reduced health concerns, to simply giving patients the best possible care and treatment at every step along the way, it’s a long list. At the top of the list has to be ROI, or return on investment. Medical offices have to be able to succeed financially, while continuing to offer the finest care. Let’s look at some of the ways digital x-ray systems can improve the bottom line of any medical, chiropractic, or veterinary office and offer real return. 1. Consistency: With digital x-ray systems, most offices find that there’s less of a need for retakes, thanks to improved consistency, system-wide integration, and fewer mistakes. With digital, it’s much easier to get it right the first time, and to avoid the time and hassle of a redo. 2. Speed: Patient throughput is increased with the speed and efficiency of digital x-ray technology. This means that more patients (or pets) can be seen in the course of each and every day. Of course, in the long-term, this also creates happier patients, which leads to more patients as well, in a wonderful cycle. 3. Workflow Optimization: The right digital x-ray system can be fully integrated with additional capabilities, including EMR, MWL and PACS. This optimizes workflow, makes life easier for employees, and allows them to be more efficient and successful. Integrating technology together is a key way to bring any office up to speed. 4. Down Time Decreased: Digital systems are less prone to mishaps because there are fewer moving parts and pieces. This reduces the likelihood of potential down time, and also creates more rapid servicing when there is an issue that needs to be resolved. 5. Reimbursement Rates: Reimbursement rates are decreased for computed radiography (CR) systems, or analog systems. 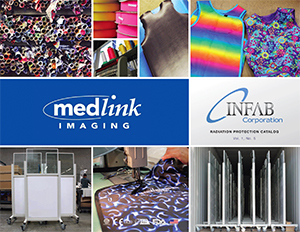 Receiving the highest possible reimbursement is a great way to improve the bottom line.Medlink Imaging provides a wide range of innovative, cutting-edge technology, focused on x-ray equipment and digital imaging solutions. We work with radiologists from all types of medical, chiropractic, and veterinary offices, offering superior results, convenience, and performance for your imaging needs. Contact us here to learn more about our products and capabilities, as well as how we can help you with x-ray compliance; or call us at 800.456.7800 (Option #2) to speak with a representative.